GT500 Style Carbon Fiber Hood by Carbon Creations is now available for the late model 2018-2019 Ford Mustang. Let’s find out more about it’s features and benefits! If the factory hood looks a little bit too plain and you’re looking for something more unique - GT500 hood by Carbon Creations is definitely worth your attention. The design of this hood is inspired by the famous Shelby editions of the Ford Mustang and replicates the iconic dual hood scoop design for improved ventilation and an aggressive performance look. One of the biggest advantages of this product is the low weight. It is made of the grade-A 2x2 twill weave Carbon Fiber which is up to 70% lighter than your factory part. 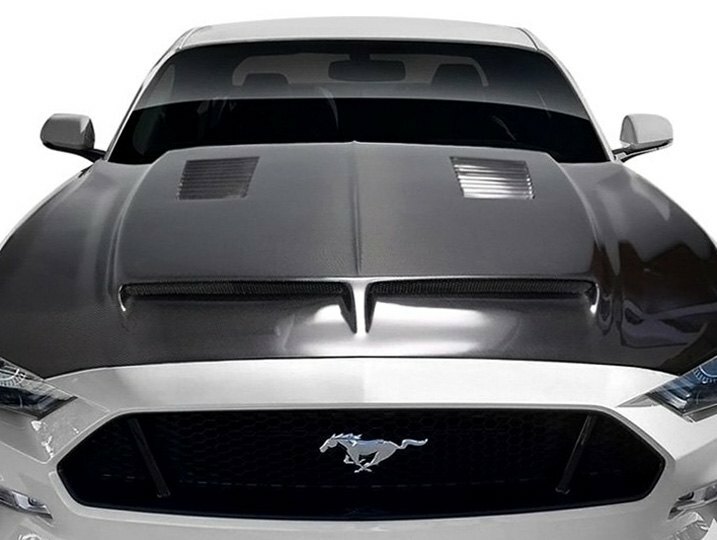 For more information on new Carbon Creations GT500 Style Hood use this link.